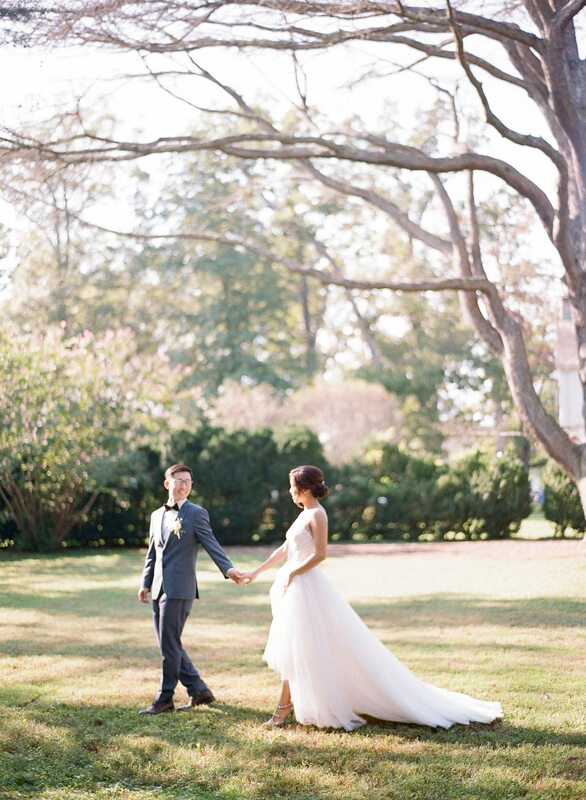 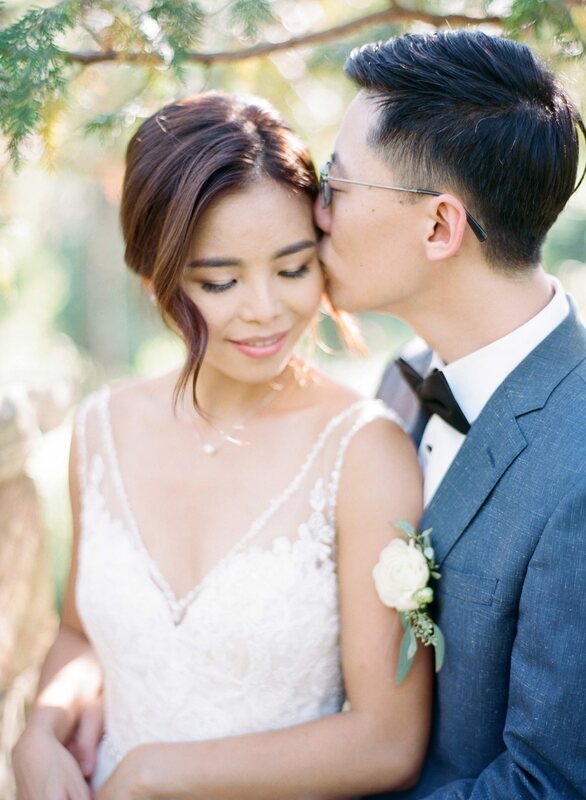 Synnie & James’s beautiful and intimate Rust Manor House wedding was held in the historic property’s garden and tented areas, and filled with ivory blooms and greenery at every corner! 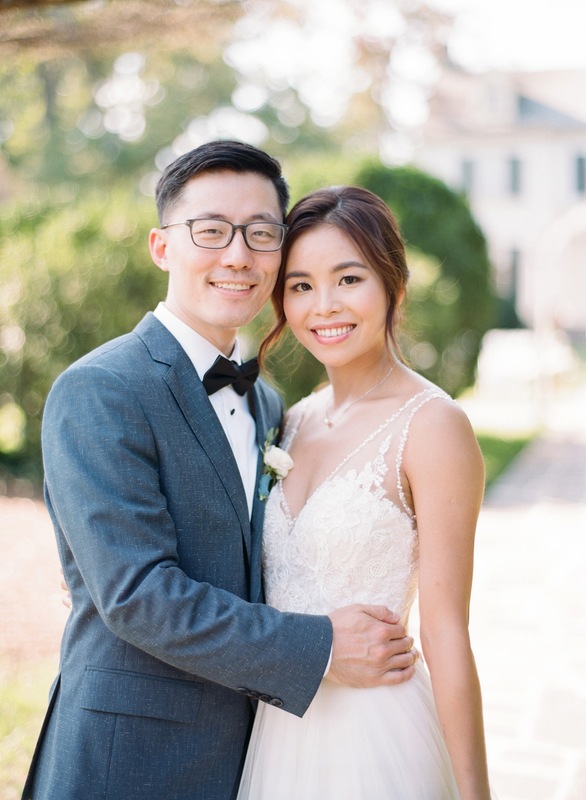 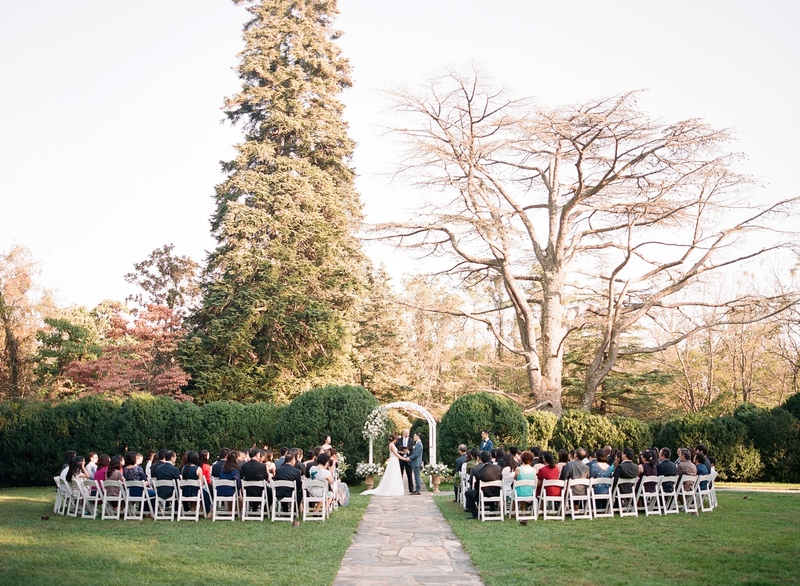 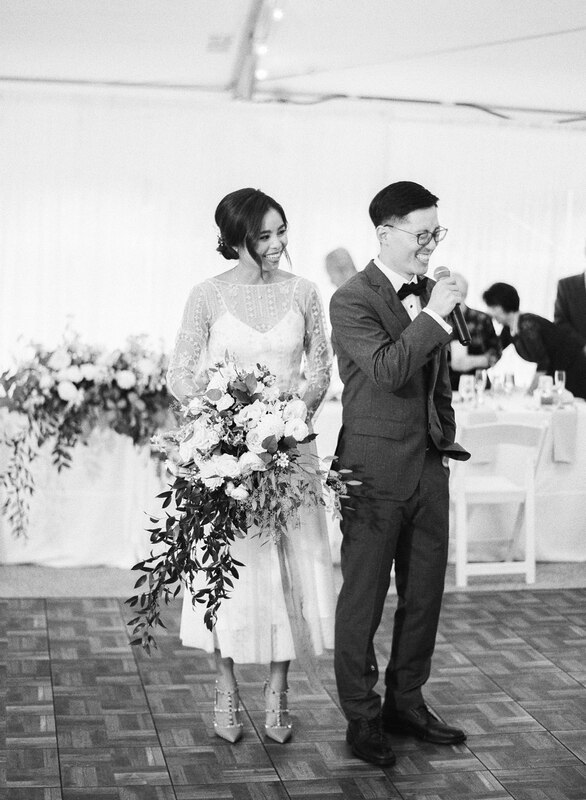 The couple met and fell in love at Virginia Tech, and their relationship slowly blossomed since their university years. 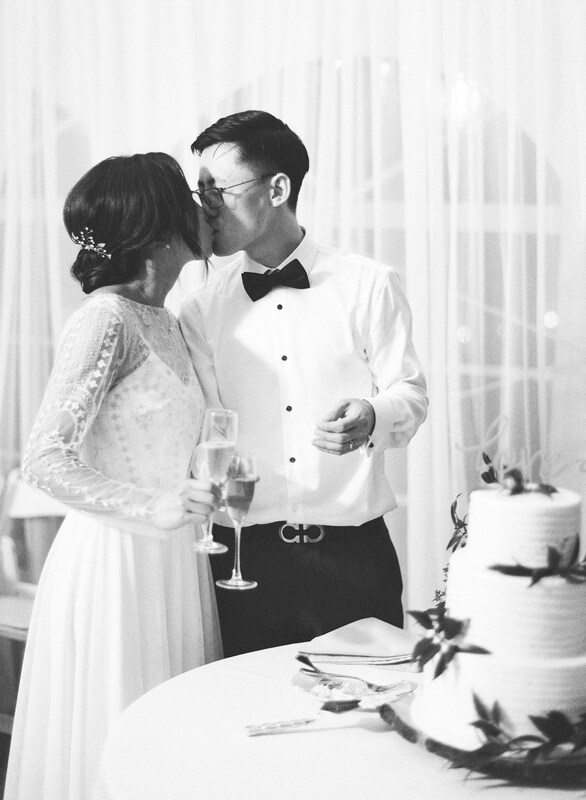 James proposed in Paris on a European trip the couple took last year, and they subsequently started dreaming up their magical wedding celebration. 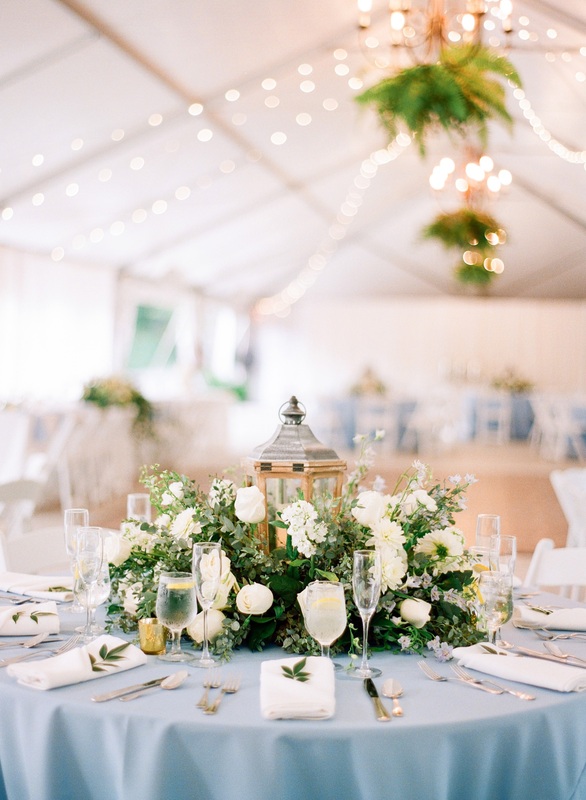 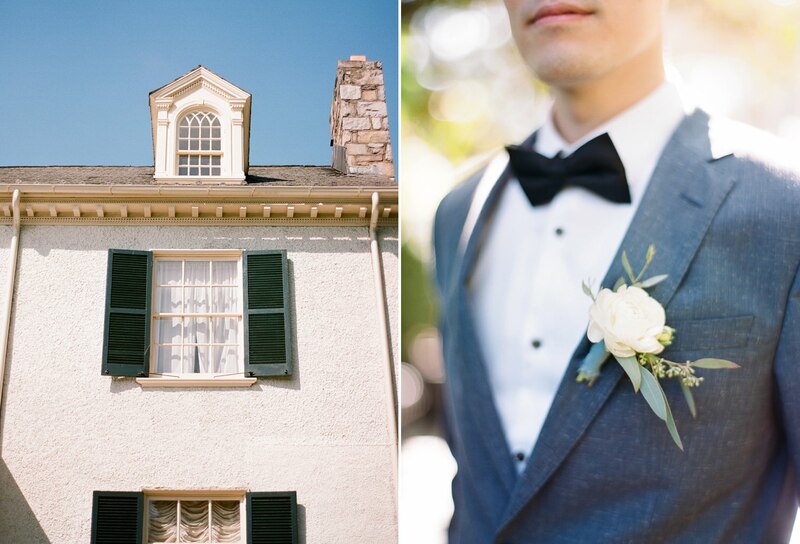 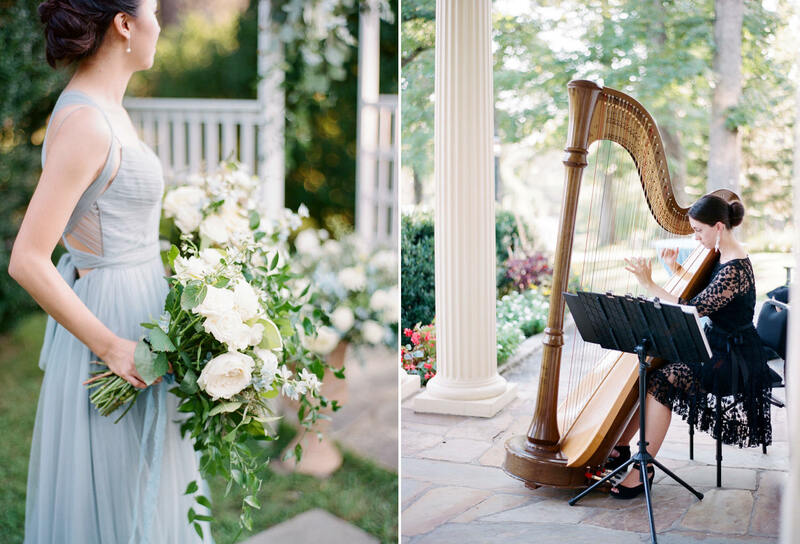 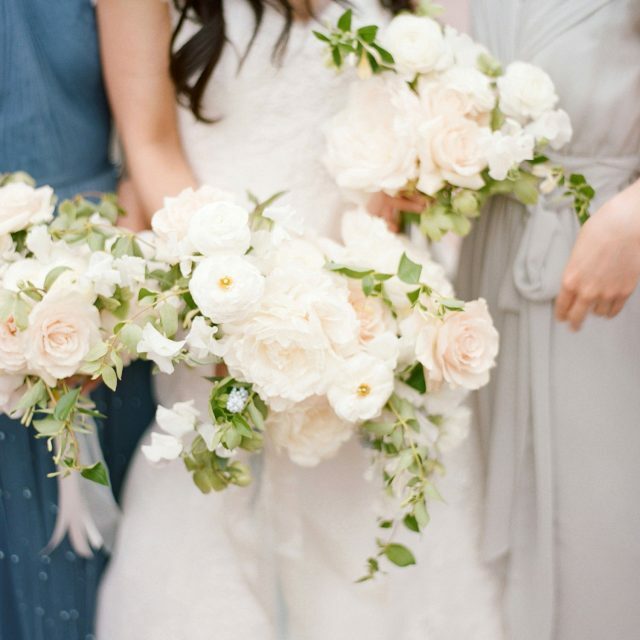 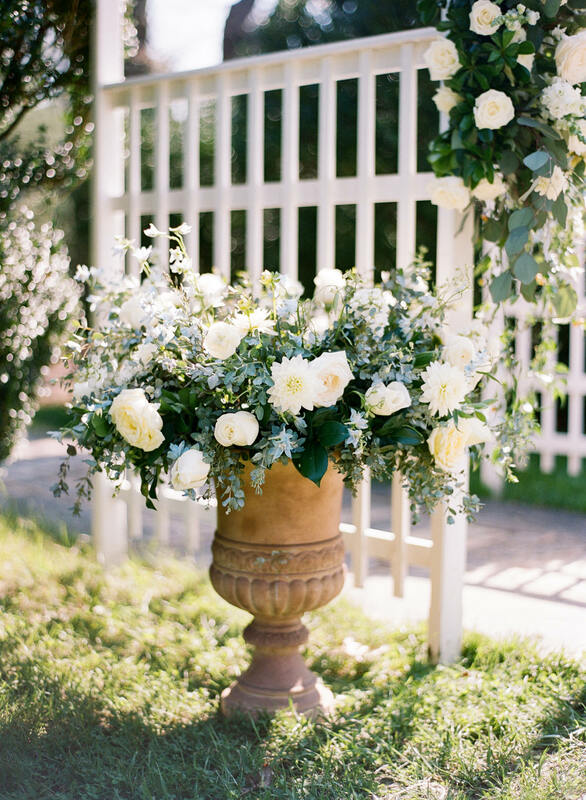 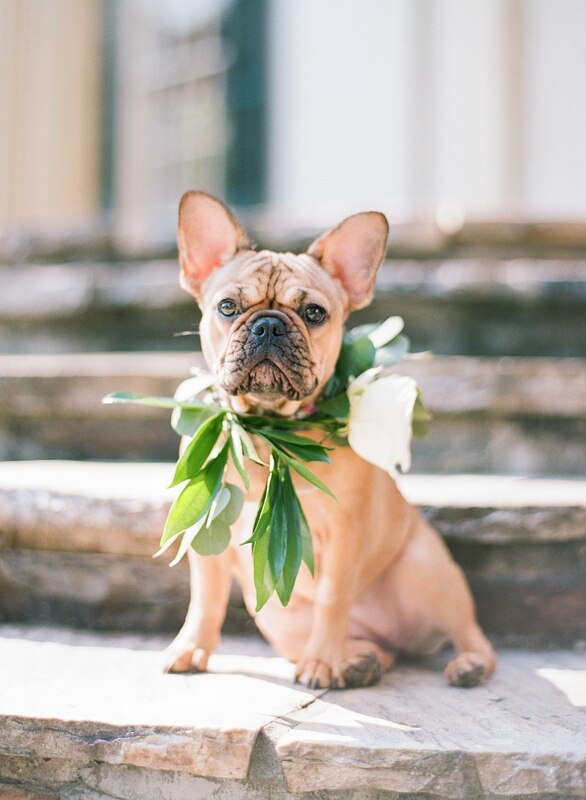 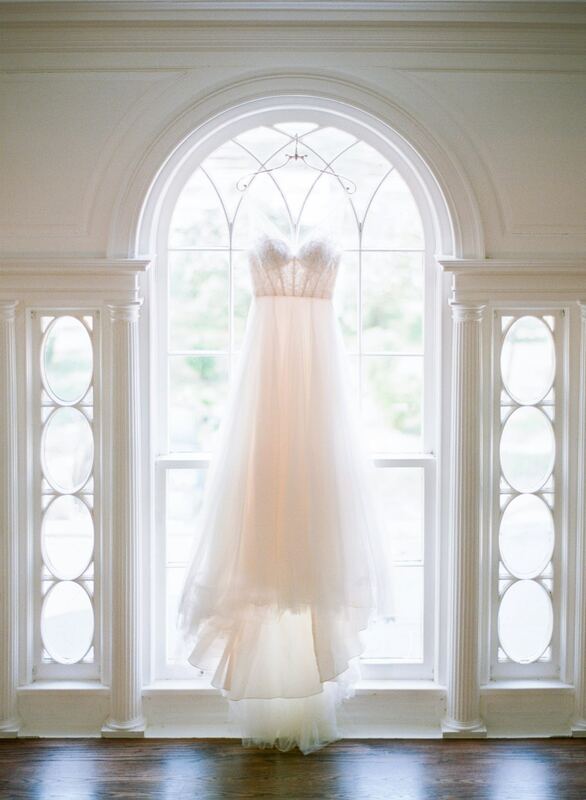 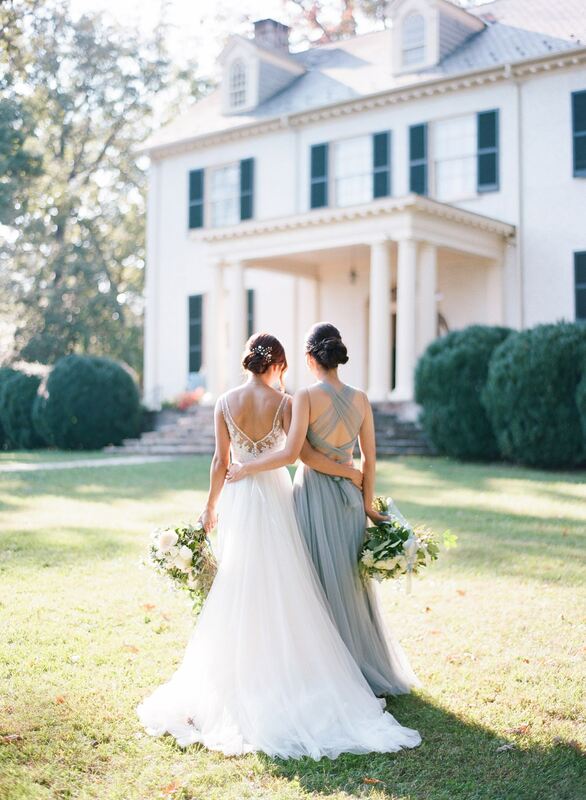 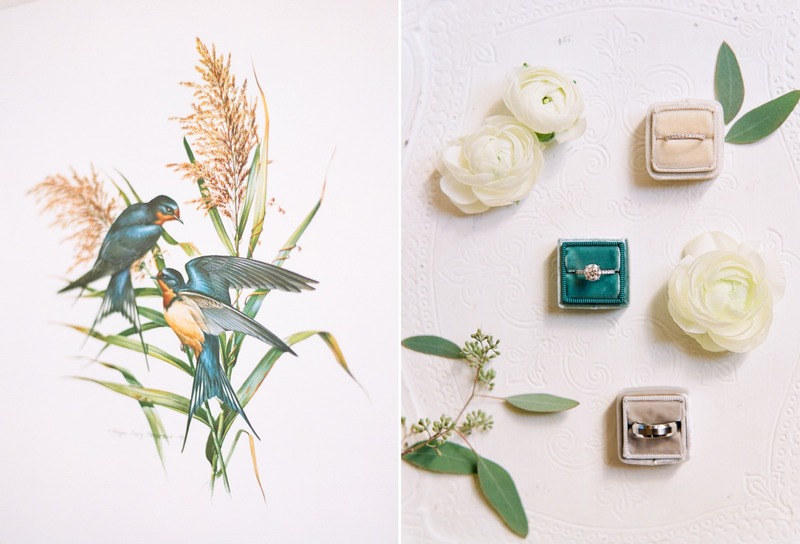 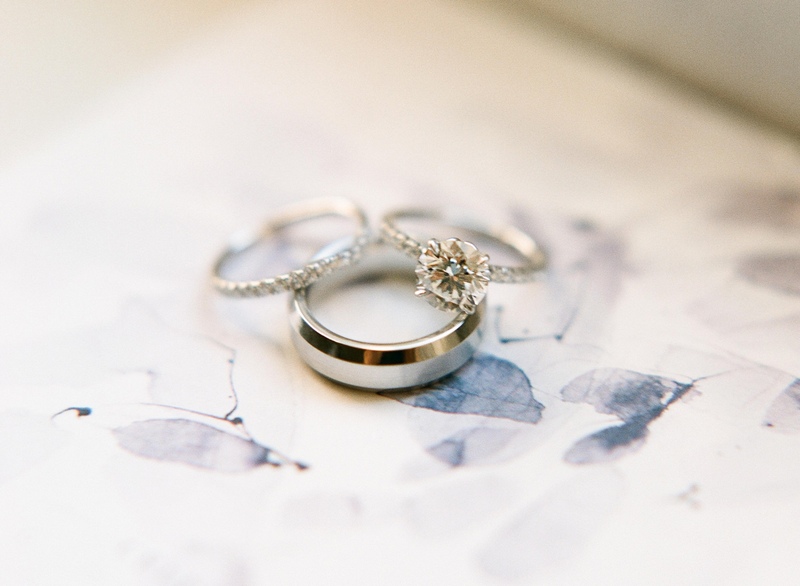 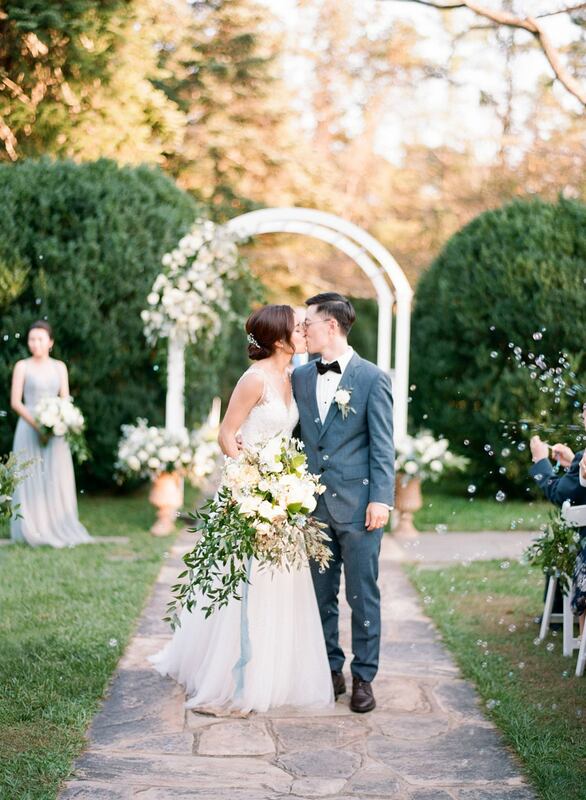 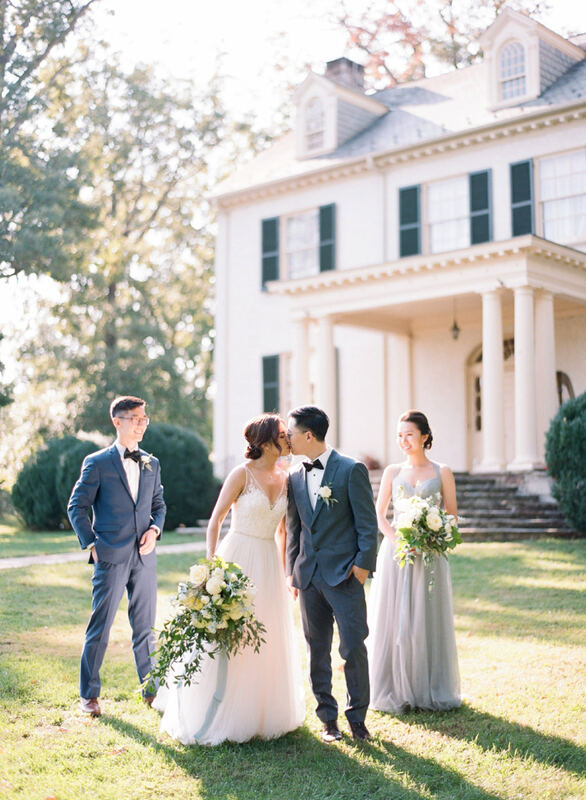 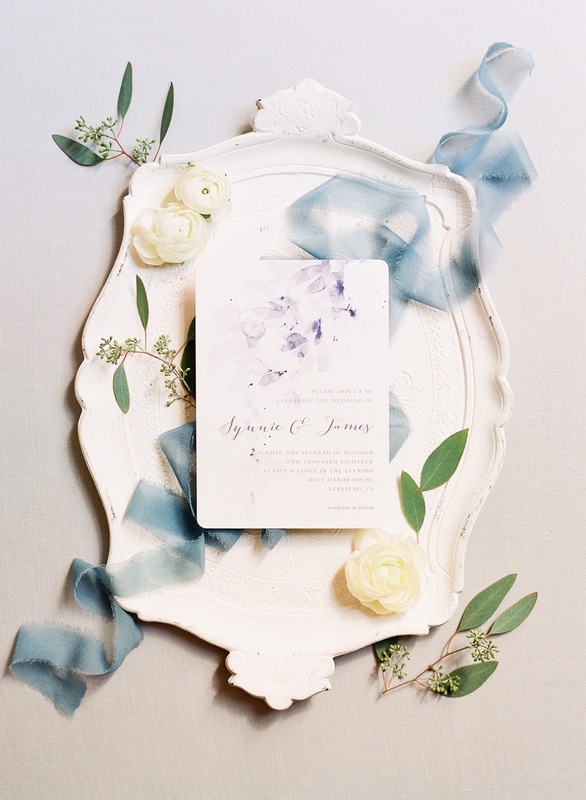 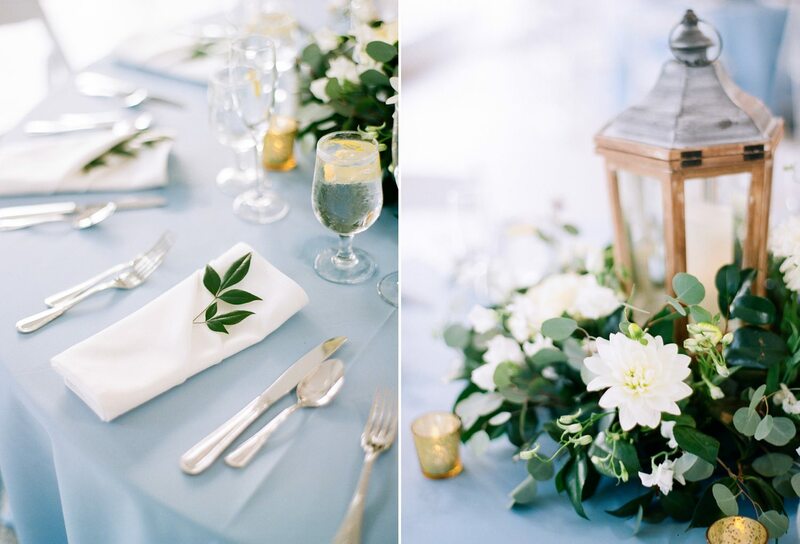 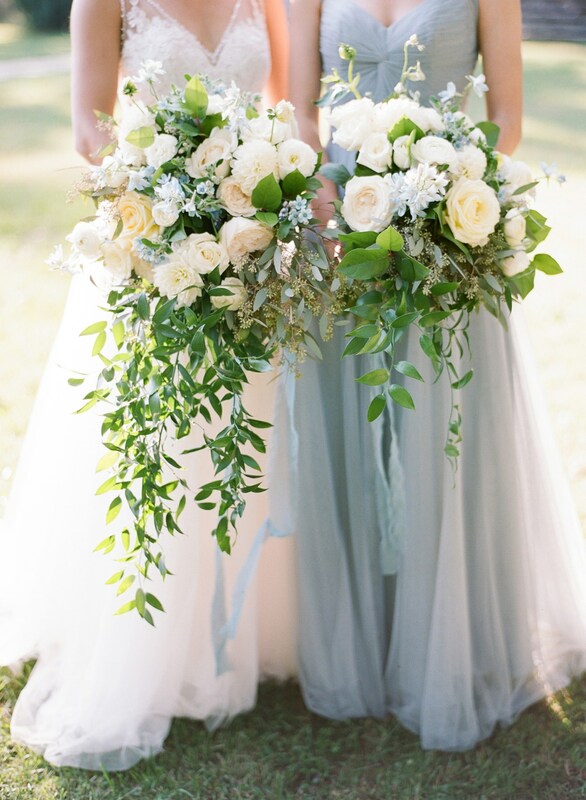 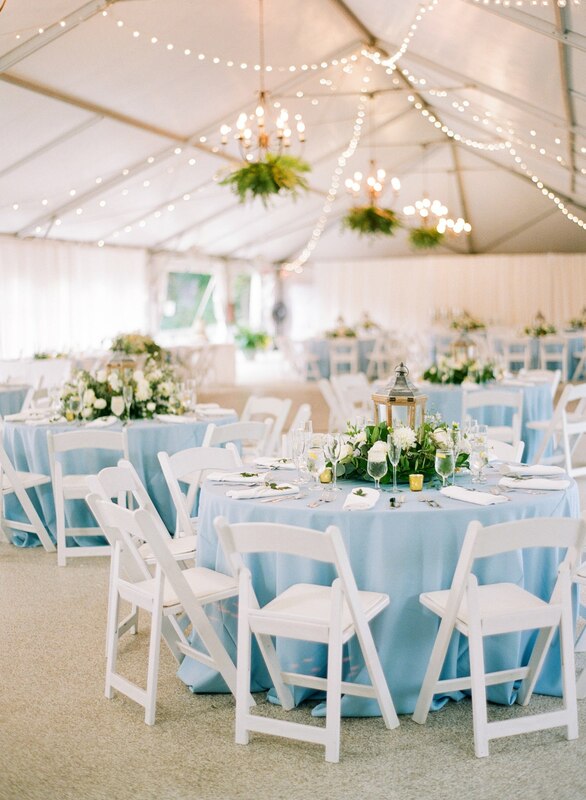 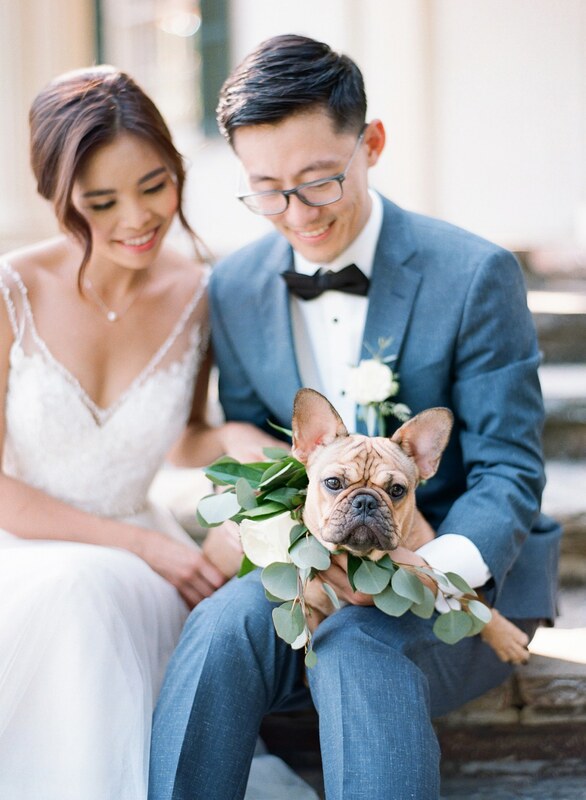 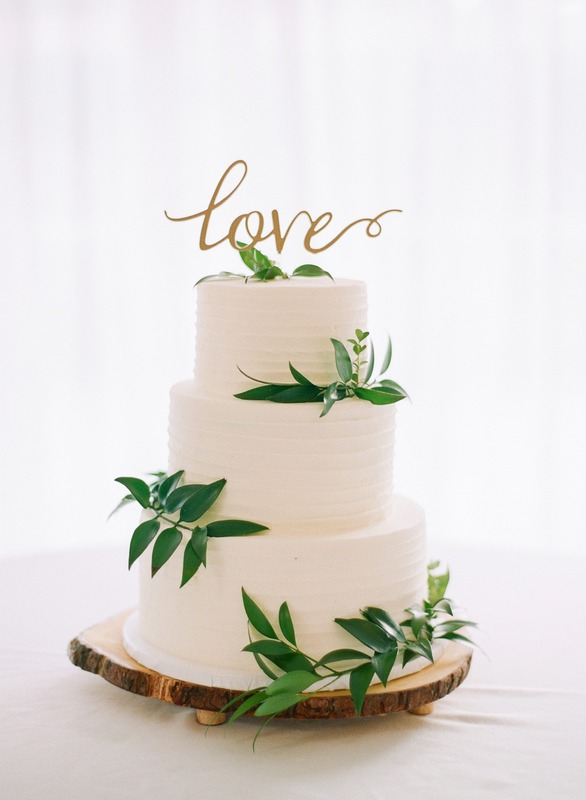 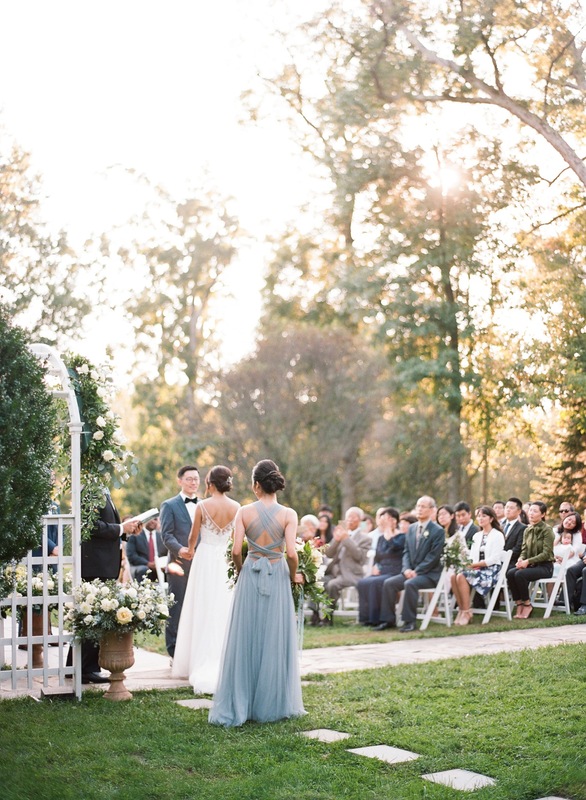 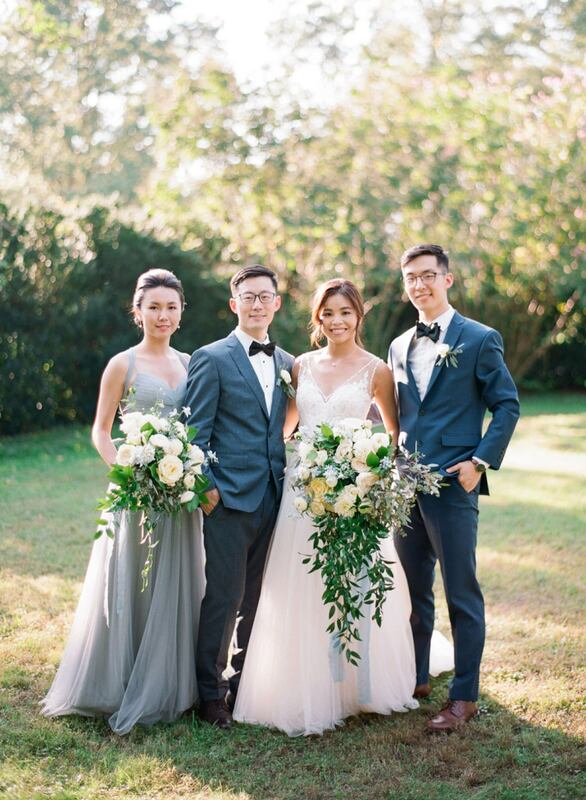 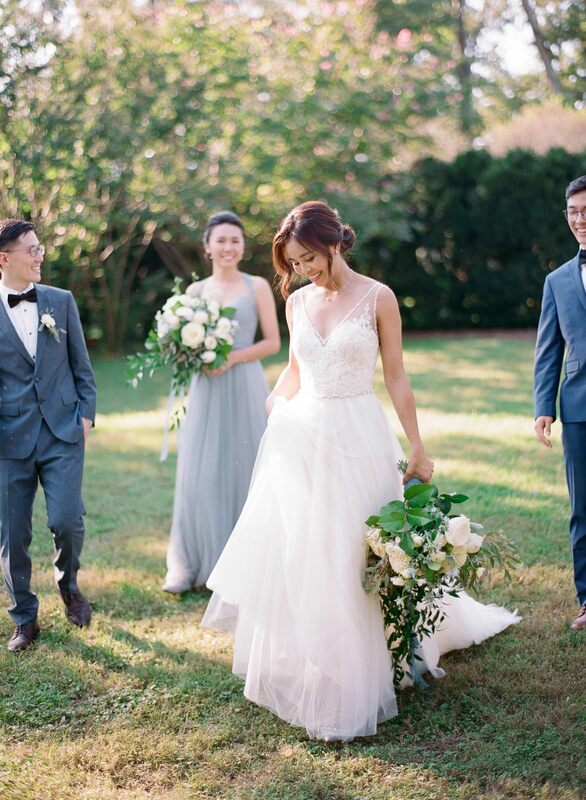 Synnie’s eye for detail brought so many delightful touches to their wedding day, and the color palette of dusty blue paired with the garden greens and ivory florals was absolutely gorgeous on film. 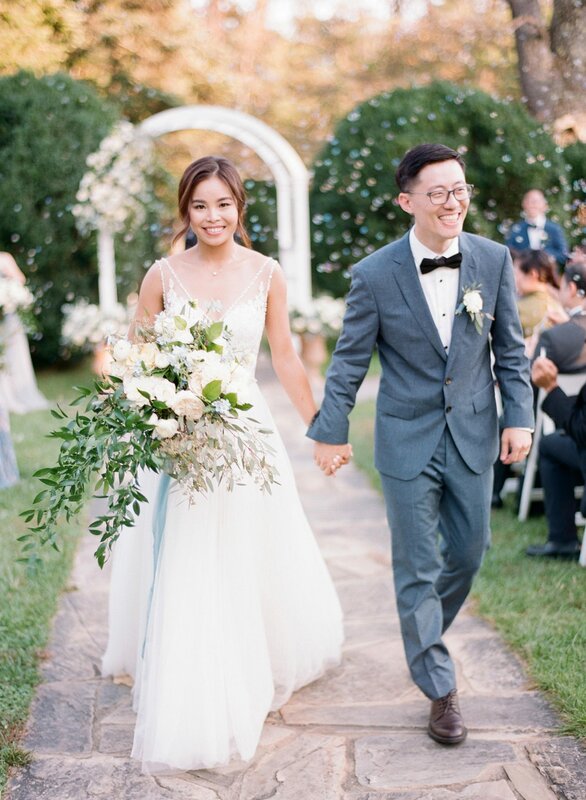 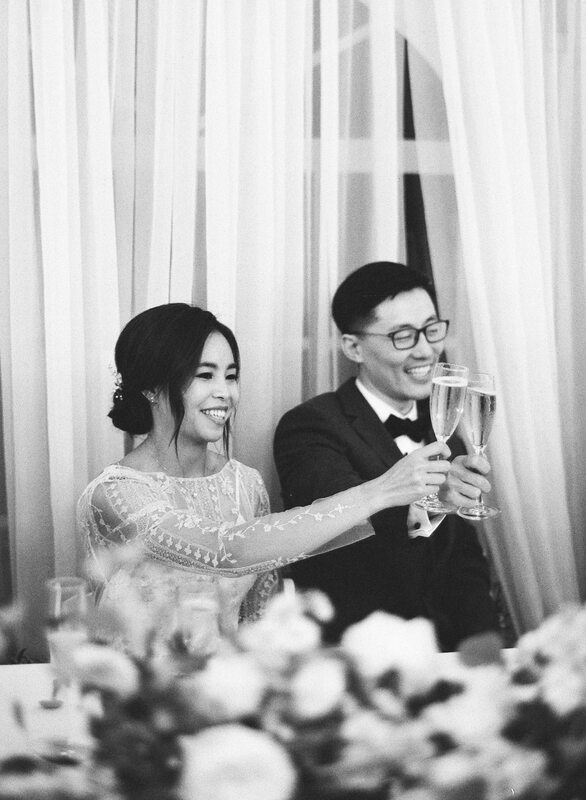 Synnie and James celebrated their vows with a beautiful bubble exit, and welcomed guests into the tented reception area for dinner and dancing. 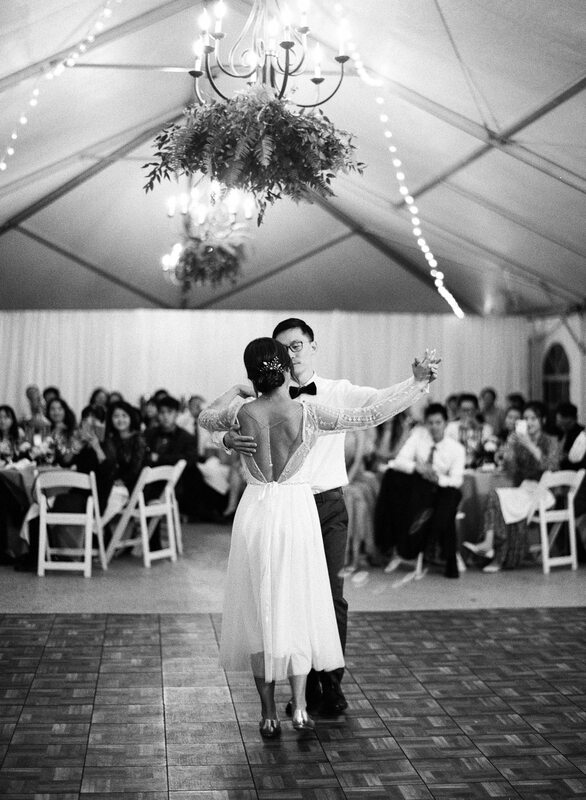 The couple’s favorite part of the wedding was their incredible dance, Inspired by the film La La Land. 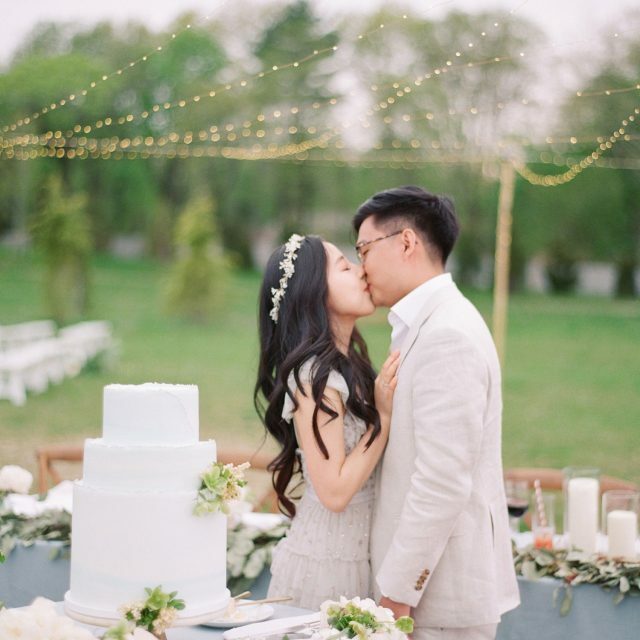 Spending their weekly date nights working on choreography to a beautiful song from Amelie, the couple wowed their guests with their lovely wedding dance.